As his book on Nikolai Demidov is on the brink of publication, director-scholar Andrei Malaev-Babel visited the UK to share his revelatory practical and historical investigations into the long suppressed Russian master pedagogue. I don’t use the term revelatory lightly. Nikolai Demidov’s work radically challenges our conceptions of Stanislavsky and the creation of his System. A collaborator and provocateur of Stanislavsky’s, Demidov approached acting from within the rich milieu of spirituality, philosophy and science that was the Russian Silver Age. As Malaev-Babel explained in a seminar at the University of Exeter, Demidov was a practitioner of yoga and his approach to acting is permeated with a sense of breath, of clearing the mind-body receptacle for inspiration, and what he termed a ‘culture of calm’. Despite all the hoopla about Sulerzhitsky and his time with the Doukhobors – a schismatic group of Christians that were purported to have taught Suler yoga – Demidov is clearly the person who introduced yoga to Stanislavsky. And not just the books by Ramacharaka (William Atkinson), but through first-hand experience. Demidov was also a trained psychologist, and therefore the only acting teacher of the early twentieth century to have a certified medical insight into the psychophysical processes at work. In fact it was due to the efforts of medical specialists that Demidov’s book on acting was first published in Russia. As Malaev-Babel mentioned, this was because the scientific community believed Demidov was a man ahead of his time. What Demidov was researching with the many actors he worked with was a new understanding of the creative process, the foundations of a new creative psychology. Why haven’t we heard about this before? Scholars have noted the importance of prana (breath) for Stanislavsky’s System but have argued over how Stanislavsky was introduced to yoga. There is agreement that multiple Studios of the Moscow Art Theatre experimented with yoga but only recently have Demidov’s instrumental roles as pedagogue and first editor of Stanislavsky’s An Actor’s Work come to light. The convoluted annals of Soviet historiography created a detective story to be trailed and pieced together. This is the work Malaev-Babel has been doing for nearly a decade. But perhaps more importantly, he has also been reconstructing Demidov’s technique in his MFA laboratory at FSU/Asolo Conservatory. As he is quick to point out, in FSU/Asolo Malaev-Babel works with some of the best young actors in North America. This is unlike Demidov who often went to Moscow theatre schools and asked for their “worst” actors. In two months time, these actors would develop such confidence in their own creative psychology that they would be nearly ready for the professional stage. This was the scientist at work. Good actors (and most of the actors Stanislavsky worked with were exceptionally good) don’t prove if a system works, they prove they are good actors. Not-so-good actors that become inspired actors, prove the real merit of a pedagogical process. For our workshop in Exeter we had a range of experience: a seasoned RADA-trained member of staff, an early career academic-practitioner and a group of undergraduates. Oddly, we were all men. While unfortunate from an organiser’s standpoint, Malaev-Babel, the consummate professional, dove into the work with what was on offer. And the pedagogy’s merit came through resoundingly. Because of previous commitments, some of the undergraduates had to leave the session halfway through, but tellingly, a few of them returned five minutes later having passed off their workloads to others in order to continue experiencing the Demidov approach as taught by Malaev-Babel. One of the central tenets of Demidov’s approach to being an actor-creator is the ability to step into a level of complexity where the rational mind cannot predict or second-guess what is about to happen. Malaev-Babel used the story of a juggler Demidov knew, one who could juggle 10 or 12 balls. Up to 5 balls, the juggler knew where each ball was and how to control them, but beyond that, he only knew that he entered a larger system of patterns and behaviour. I immediately thought of John Britton’s many ball games and the adaptations I have created with my own company ARTEL. And because Demidov also typed actors (Imitator, Emotional, Tragedian, Rationalist), I thought about the differences between actors who quickly capture a simple ball game and want to develop variations of games with a few balls versus actors who are willing to stick with the same game to sink deeper into the experience with more balls in play. It seems to me that it is this latter level of consciousness that Demidov’s actor-creator approach is training. Specifically, the Demidov approach focuses on cultivating the first spontaneous impulse. This is done through a series of daily exercises akin to the actor’s scales, which we did not unfortunately have time to experience, and through fundamental etudes, which we spent the majority of the workshop playing with. We started simply, sitting in chairs in a circle. No need to change our clothes or warm-up our bodies. All things that I’m sure would have helped the process but given my background in post-Grotowski Polish laboratory training was a refreshing change. Again highlighting the sense of experimentation that Demidov carried throughout his career, this was a reminder of the importance of stripping away notions of what are the necessary conditions for working in order to test what actually is working. In this case, the etudes are geared towards calm, breath and an emptying, so that an “awakening” can happen for the actor. Pairs of actors are given a few lines of a scene by the teacher. They toss them back and forth just to memorise them. I found myself consistently changing my tone as well in this exchange so as not to lock myself into any delivery or score but Malaev-Babel encouraged me to not even worry about that at this stage. Another welcome dissociation from years of training in a particular way that has created its own set of hang-ups. In this case I was consciously afraid of being seen to be “locking” text down, but instead I was locking myself down, not allowing myself to simply relax into an easy banter between actors that is simply a repetitive necessity of memorisation. By relaxing into this first stage of the exercise I was able to have more freedom and spontaneity in the latter stages. Once memorised, the actors were told ‘to throw the lines away’, to clear the head and let the text come back when it was ready. The scene is then played upon the current of impulses that arise after this emptying. Short discussions were then had around the etude, primarily around perception of where each actor felt he was, who his character was, what his relationship to his partner was, and similar beginning intuitions. After a round or two of this, we moved onto our feet in the exact same way. On our feet, with a proscenium stage set-up, it becomes apparent when an actor doesn’t allow or follow fully through the first impulse. It also allows the whole body to more readily awaken to the experiences which might include centres or other physical intuitions of characters. While we only scratched the surface of Demidov’s approach, my experience was similar to another profound but superficial touching of a technique I encountered with the late Veenapawni Chalwa at CPR’s 2010 Director’s Forum. Both experiences relied on the inspiration of breath to “awaken” an actor to perceptual attention. If followed this culture of calm entices the actor to sit inside the experience of the imagination, which further allows for the impulses to lead the work rather than selecting particular impulses over others in order to develop a conception of what the role should become. Malaev-Babel calls this process ‘greenlighting’ the first impulse and that sense of allowance while ‘going’ or ‘stepping on the gas’ is a useful one. As my colleague Martin Harvey and I both experienced, Malaev-Babel’s seminar and workshop expressed passions and intuitions we both long believed but rarely have validated by historical acting or directing pedagogies. Needless to say we both await Malaev-Babel’s forthcoming tome on Demidov with baited breath. Demidov, and in turn Malaev-Babel, invite us to enter into a larger system, one that purports to articulate a pathway to creative psychology that complements and enlarges Stanislavsky’s System. 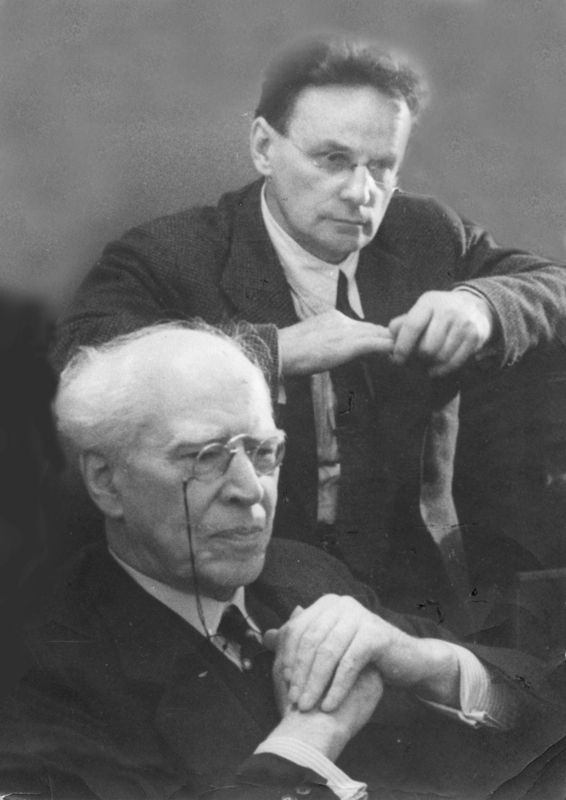 Given the years Demidov spent challenging and expanding Stanislavsky’s System, the subsequent decades of suppression by the Soviet regime, and the increasing globalisation of Stanislavsky as the actor’s foundation, such an invitation is more than welcome. Part of the Silver Age milieu was an interest in yoga and yogis. Ramacharka’s book was floating around and Sulerzhitsky probably knew of it. It’s more than possible that he did introduce the book to Stanislavsky and possibly Vakhtangov, although Malaev-Babel indicated that it was Demidov who introduced Suler to hatha yoga, and that Vakhtangov and Chekhov came to embrace yoga and breath from their own independent study. What the Demidov heritage makes clear is that he was the first person around Stanislavsky to have valid practitioner experience with Yoga and it suffused his pedagogy and work particularly with the Second Studio of the Moscow Art Theatre. This quote is from Malaev-Babel’s concise summary of the Demidov heritage in Stanislavski Studies Journal 3:1. For those who can’t wait until the full publication is released, this source greatly expands on this post and what my colleagues and I experienced in the workshop. This entry was posted in My training and tagged actor training, Demidov, Malaev-Babel, Russian theatre, Stanislavsky by Bryan Brown. Bookmark the permalink. Former Executive Director of Schkapf, performance incubation house in Los Angeles, California, Bryan is a theatre practitioner and scholar. He is co-artistic director of ARTEL and Lecturer in Drama at the University of Exeter. His forthcoming book “A History of the Theatre Laboratory” (Routledge 2017) investigates the organizational processes of curious practitioners in science, visual art, and theatre. hello! I just discovered your blog searching for mr damidov online. I will attend to a 3 days workshop held by veniamin filshtinsky, teacher at the damidov center. As i know it will be short, i want to ask you for some ideas of exercises to get into the mood and be open to enjoy this experience to the fullest. I will buy the book that seems to be on amazon, look into the cat exercise you mentioned and continue with yoga practice with a new sense of faith. Any suggestions are welcome. Thank you, best wishes.